The Prison Officers Association annual delegate heard that there has been six stabbings in six weeks. It’s a question that will be consistently asked during the Prison Officers Association’s (POA) annual delegate conference this week as its members being attacked will be one of the main issues up for discussion. The POA is calling for mandatory consecutive sentencing for prisoners who assault or injure prison officers while in the performance of their duties. 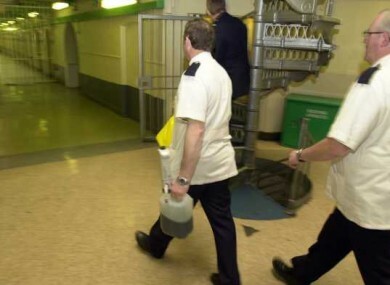 It comes as knife attacks are becoming a growing concern for prison officers. Earlier this year, two prison officers were seriously injured by Derek Brockwell, a dangerous prisoner from Portlaoise Prison who then escaped from Tallaght Hospital. A number of officers were also stabbed in the Midlands Prison as they tried to intervene and quell a disturbance. Most recently, three officers were viciously attacked by a prisoner using a shiv at Mountjoy Prison. Two of the officers received serious injuries to the head and face. Six stabbings in six weeks, as has happened recently, is simply not acceptable and the Minister for Justice has a responsibility to take some decisive action as a matter of urgency. Frances Fitzgerald will address the Conference at The Inn at Dromoland this morning. Delaney added that the Irish Prison Service “hierarchy and prison management need a reality check”. Today our prisons are the most dangerous places of work in this country and we remain to be convinced that management at any level is grasping the seriousness of this situation. “We all knew the risks when we signed on the dotted line, however, we also thought that when there were legitimate and well founded security based requests for Garda support that we would be supported. The association says gangs in prisons and the ongoing issues regarding drugs are putting immense pressure on the prison system. In March 90% of members voted to accept a ballot for industrial action saying “a series of unilateral decisions made by the Irish Prison Service” made prisons less safe for staff. The POA has also said that vexatious reports by prisoners on prison officers are causing immense stress and that officers are getting very little support from Irish Prison Service. We’ll be reporting from this year’s Prison Officers Association Annual Delegate Conference in Dromoland over the next two days, so keep an eye out and follow @CliodhnaRussell for updates. Email “Six stabbings in six weeks: Prisons are 'the most dangerous workplaces' in Ireland”. Feedback on “Six stabbings in six weeks: Prisons are 'the most dangerous workplaces' in Ireland”.